When you want your tax refunded fast, no one’s quicker than Oh Yeah Accounting on the Sunshine Coast! Same Day Tax Refund available from July 1st - October 26th. Within a one hour appointment, you could have your tax completed and the refund transferred to your bank account before you leave. Most accountants will submit your refund request to the tax office & then you have to wait up to 6 weeks. At Oh Yeah Accounting we say that’s not good enough, so we pay your money to you on the very same day. If you want a genuine same day tax refund, say ‘Oh Yeah’ and book your appointment today! Any day can be a pay day with a same day tax refund! Oh Yeah Accounting are based at Maroochydore on the Sunshine Coast and can process your same day tax refund quickly, affordably and stress free. If it took weeks to get a refund last year after visiting your previous accountant, then wave them good bye and say Oh Yeah to a same day tax refund with Oh Yeah Accounting. Book your same day tax refund / same day tax return appointment now and come and visit us at Maroochydore on the Sunshine Coast. Oh Yeah! Are you located in Brisbane, Caboolture, Gympie or anywhere in South East Queensland and want a same day tax refund? No worries! You can either make a trip to the beach and visit us on the Sunshine Coast, or email your details through to us. At Oh Yeah Accounting, we make things as simple as possible to get the best tax return in the fastest time frame for you. Caboolture same day tax refund: Don't wait up to six weeks to get your refund, get money transferred to your bank today with Oh Yeah Accounting. A short 45 minute drive from Caboolture to Maroochydore can save you 6 weeks of waiting for a standard tax return, so take a trip to the beach and get money in your bank today (win, win) with Oh Yeah Accounting. Book your appointment now. Gympie same day tax refund: Why wait up to six weeks to get your tax refund? You could get money transferred to your bank today with Oh Yeah Accounting! A short drive from Gympie to Maroochydore on the Sunshine Coast can save you 6 weeks of waiting for a standard tax return! Take a quick trip to the beach and get money sent to your bank today (win, win) with Oh Yeah Accounting. Book your appointment now. 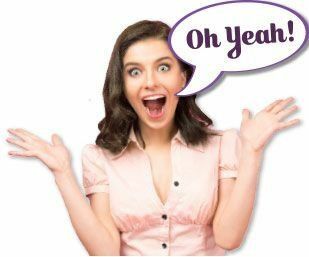 Brisbane North same day tax refund: Forget waiting up to six weeks to get your tax refund and get money transferred to your bank today with Oh Yeah Accounting! A short one hour drive to the beach from Brisbane's Northern suburbs to Maroochydore on the Sunshine Coast could save you 6 weeks of waiting for a standard tax refund and deliver you a same day tax refund! Take a quick trip to the beach and get money refunded to your bank account today (win, win) with Oh Yeah Accounting. Book your appointment now.